Azealia Banks releases her new single, ‘Esta Noche’, today through Polydor Records. The single is the lead track to be taken from Banks’ recently released 19 track ‘Fantasea’ mixtape. Banks will curate her own Mermaid Ball at the London Aquarium on October 13 and the event will feature an extra special performance from Azealia and also performances from several special guests throughout the evening. Those who attend the event will be encouraged to dress as Mermaids themselves, with a prize given for the best dressed. 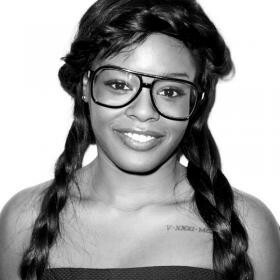 February saw Azealia win the prestigious Philip Hall Radar Award at this year’s NME Awards. Some live highlights so far include the NME 2012 Radar Tour, Coachella, Reading & Leeds Festivals and a set at the Radio 1 Big Weekender. ‘212’ has sold over 400K singles to date and the video is fast approaching 35 million views on YouTube. Her debut album is released in February 2013. Banks embarks on her full UK sold out tour at the end of the month, kicking off on Friday, September 28 at Manchester Club Academy.